We grew up an American Company; today we span the globe with wonderful opportunity still ahead of us. 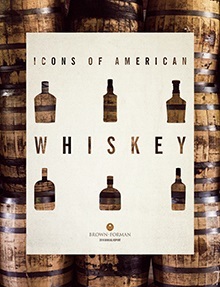 Brown-Forman has been at the heart of American whiskey for over 144 years. As a family controlled business we have taken great care to responsibly build our company into the leader it is today. Our portfolio of iconic and premium brands appeal to discriminating consumers around the world. Our rich heritage and strong values, commitment to our craft and tradition of innovation remain the foundation upon which we continue building a strong future. Throughout the past year we maintained our growth trajectory by launching and sustaining our brands in select markets where consumers are looking for that unique enrichment to the experience of life offered by our spirits and wines. Looking ahead we continue to see opportunity for growth; growth for our brands and our people.